You really need to look at the best options available to you as it’s important that you have the correct premises to enable you to operate your business efficiently and profitably in today’s very competitive environment. 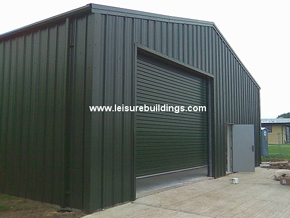 This industrial steel building should have low overheads, spacious working conditions and, ideally, should suit your needs rather than a developer. 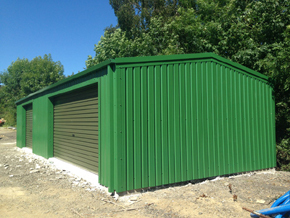 Capital Steel industrial buildings can be manufactured to meet your requirements & needs so should be worth looking at being made to each customer’s needs. Strongly made from high tensile fully galvanised steel. Designed for a very long life and meeting your precise requirements. Click Here for full details. Running a business nowadays is difficult so it’s important to ensure you spend your money wisely on any buildings required and these should have low overheads but also need to be as spacious as possible. 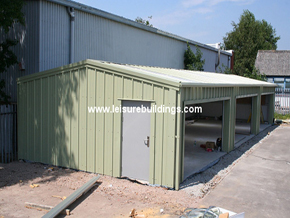 Before deciding you need to take a look at these Capital Steel Buildings as you can’t always get what you want from an existing property. Capital’s clever dedicated software can help design a steel frame building to meet your precise requirements and to your specification. And best of all the cost is very keen ensuring the best for all parties and can be delivered on site quite quickly. Click Here for full details. The correct premises is required to run a business in a modern and efficient way so it’s important to look at the commercial steel buildings available. Low overheads and lots of space is a must and you can’t always get this from an existing property. In this competitive world you need to look at all possibilities and this is where the Capital Steel commercial buildings can play a part. Capital Steel clever software enable an industrial building to be made to suit your requirements and at a very good price. Solidly made from cold rolled high tensile fully galvanised steel they are designed for the long game and for your needs. Click Here for full details. 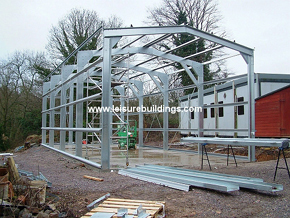 Steel portal frame building can provide the ideal premises so you can operate your business profitably as well as efficiently. But it’s important that they have low overheads and plenty of space for working and this is not always provided by an established development. So, by looking at your options, you should be able to see that the Capital Steel portal frame buildings can meet your requirements. Being custom made for each customer they will reflect their requirements and at a cost effective price. Ask now for a quote to suit your needs and be pleasantly surprised. Click Here for full details. On the modern farm it helpful to have the right agricultural buildings so that they can fulfil your needs and be adaptable when requirements change. Cost always plays a part so must be considered as well. This is even more important than ever in the increasingly competitive world of agriculture so you need to compare the best options available to you. This is where these Capital Steel agricultural buildings will satisfy your requirements and needs on the modern farm. You will find that we can design these super agricultural buildings to suit your farm and location enabling you to get the best use out of these versatile buildings. Click Here for full details. On the modern farm it’s important to have the right type of buildings which can suit many purposes, whether it’s for storage, animals or for animals. By doing so your farm can run as efficiently and profitably as it can. So if you are considering additional or replacement buildings then you should consider all your options to ensure you get the farm building to suit you. 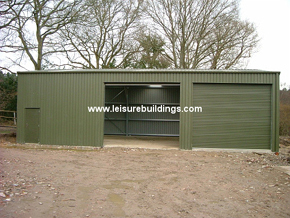 CSB farm buildings can be made to meet this requirement so are well worth looking at. All made for each individual customer to ensure it meets their required needs. 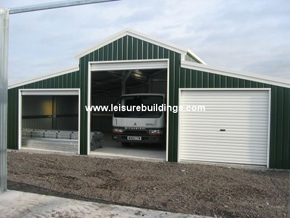 These farm buildings are constructed from high tensile galvanised steel which aids its long life. Click Here for full details. When you want to protect your car or vehicle it’s usually good to buy one to suit you and your needs rather than a ‘run of the mill’ compromise one. If it has low overheads in terms of maintenance then that can be a bonus and worth considering. Also by selecting one to meet your needs you can ensure there is sufficient space to house your car or cars and maybe have a workshop as well if you so choose. This is why it’s always important & good policy to consider all options before committing yourself. 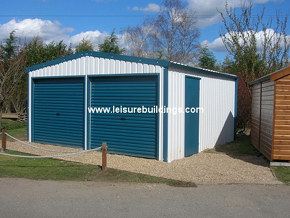 These Capital Steel Garages can be made to suit you so it’s worth taking a look as each garage is made to suit the customer. Click Here for full details. It’s important to have the best building to suit your requirements and if it looks good that’s a bonus. That one of the beauties of these Capital Steel American Barns with their attractive staggered apex roofs. Besides the looks it’s important that any potential building is cost effective and have low overheads so it’s vital you investigate and look at the best option for you. Especially in today’s competitive environment. Capital Steel Buildings have the options to meet your requirements and your needs as these American Barns are made to suit each customer so each building will fulfill all you need from them. Click Here for full details. Click through to obtain a quote for a Capital Steel building to suit your needs. All you need is the width, height and length of the building. Also, what doors you would like and your postcode so that it will be designed to suit your location. Click through for our price guide of Capital Steel Buildings so you can see how affordable these buildings are and that they will meet your requirements and your budget. You will be pleasantly surprised when you take a look.